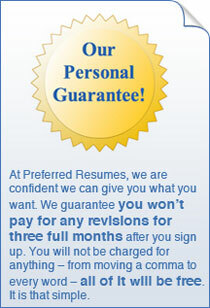 Think of your resume package as a sales document that illustrates your skills and experience. It should be written clearly and concisely, outlining the pertinent information that illustrates your qualifications for the position. Act as a "door opener" that makes companies want to investigate your qualifications further. Inform your network contacts about your career background so that they can assist in your search. Serve as a leave-behind at the end of an informational interview. Provide a framework for discussion during a face-to-face interview. Satisfy the requirements of search firms and advertisers. Remember, there are many ways to stimulate people s interest in you besides distributing resumes, such as marketing letters and personal contacts. The resume is not the leading edge of your job search; it is more often a follow-up device. Certainly, it is no substitute for personal contact. Your resume is part of your image; it needs to be interesting, concise, and visually attractive. But to prepare the most effective resume, you first need to know your audience. The two most common types of resume formats are chronological and functional. The chronological resume emphasizes your employment record - where you worked and for how long, your job titles, your responsibilities, and your accomplishments. Your jobs are listed in reverse order, the most recent coming first. The functional resume emphasizes the kinds of work you've done, the skills you have, and your accomplishments in various aspects of business. It organizes work experience by business functions, such as general marketing, management, production, finance, or any of their sub functions - or by skills. It usually incorporates a range of accomplishments to illustrate expertise in a particular skill area or field of business. The chronological resume is by far the most commonly used. Therefore, it is what most recruiting people and seasoned interviewers expect to see. The functional resume is more adaptable to special problems in the job search. For example, if your employment history has been erratic or suggests "job-hopping," you may want to de emphasize this by talking first about your functional skills and accomplishments. If you are planning to make a radical career change, you will need to de emphasize aspects of your experience and try to highlight your more relevant skills and knowledge. And, if you are re-entering the job market after a long absence, you will want to emphasize your skills and knowledge. However, the functional resume may irritate resume screeners because it appears to conceal what they are accustomed to looking for. But if you are one of those special cases who needs a functional resume, you'll probably be aiming at a different target anyway - the decision maker. Ideally, each type of resume incorporates elements of the other. The chronological resume becomes more meaningful when you fist specific accomplishments under each job. A functional resume should usually include a condensed employment history (company, date, and job title). In addition to these two formats, there are others that fit special situations. In the academic world, the emphasis may be on educational background and published papers. In fields such as publishing or public relations, a resume might have a narrative style or show a creative flair. A law firm will require a very specialized format, and a public accounting firm might expect a very formal, conservative type of resume. Your resume should show your versatility. Resumes that stress only one skill can often pigeon-hole a job candidate. If you're coming from a big corporate environment and were exposed to a wide range of experience, you may even wish to consider multiple resumes to better target your skills in specific areas. The key is to tailor your resume and other marketing materials to the requirements of your career objective. You may want to use a combination of formats that can serve to better reflect your individual skills and accomplishments. You may also want to highlight your skills by using a "key word" format in which you present pertinent skills set off in columns or in a summary. Your keyword profile can include a listing of functions and tasks in which you are skilled, or highlight management and people skills.